Two years ago, in November 2013, what became known as EuroMaidan began. 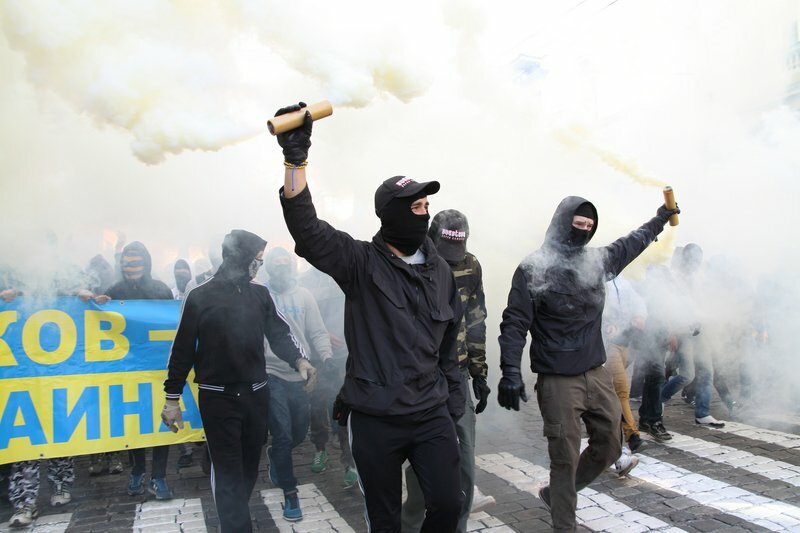 Civic protesters in central Kyiv demanded ‘Europeanisation’, which for Ukrainians meant liberal democracy, political and media pluralism, rule of law, economic freedoms, differentiation of branches of power and separation of government and business. Two years on, the ‘Europeanisation’ agenda remains unfulfilled, and Ukrainians—now facing a new wave of violence in Donbas and explosions in the south of the country—are divided in opinion whether this agenda is a priority. With not unreasonable doubts about the success of the Kyiv-led transition, two of the biggest Ukrainian cities, Kharkiv and Odesa, have now elected mayors with strict ties to the previous regime. To understand the general course of Ukraine’s development in 2014-2015, we should pay attention to the clash between this agenda, set by the EuroMaidan movement, and another, the ‘war agenda’, stemming from the conflict in the Donbas. The fundamental contradictions between these two agendas has undermined both democratic change and security in Ukraine, and provided new and old oligarchic groups the chance to gain control over centres of power, influence and money. To cope with the monopolisation of power and economy in the hands of one group led by ex-president Viktor Yanukovych, the EuroMaidan movement needed to consolidate different opposition groups, often rivals, by a set of shared goals. Diverse political parties, civic organisations, human rights groups, far right and new left networks, and masses of individuals were united by common goals. Pervasive corruption is a problem that not only impedes government and stymies reform, but complicates Ukraine’s future relations with the west. The short-term perspective was to topple Yanukovych and destroy Ukraine’s emerging authoritarian regime. But another important set of goals had a much longer timescale. It included fostering European integration and national liberation. In the post-Soviet context, ‘European integration’ means much more than just formal association with the European Union: for those on the streets of Kyiv in the winter of 2013-2014 it meant rule of law, democratic pluralism, a de-monopolised economy, responsible government, accessible justice, representative parliament and strong local self-governance. National liberation, meanwhile, included lesser dependence on Moscow’s integration projects and better citizen control of elite behavior. But another set of developmental goals evolved in response to Russian aggression in Crimea and separatist rebellion in eastern Ukraine. In essence, the post-Maidan government was put on the defensive immediately after its appointment: the state of war demanded a ‘disciplined’ society led by one leader and one team, fast reforms of the security sector and a concentration of resources—economic, human, and administrative—to effectively fight a strong opponent such as the Kremlin. This ‘war agenda’ privileges national security over civil liberties, centralisation over local self-governance, military discipline over democratic discussion and a military economy over the free market. The origins of the war agenda can be traced to the period from March to May 2014, when separatists attempted to form ‘People’s Republics’ in the Kharkiv, Luhansk, Donetsk, Zaporizhzhia, Dnipropetrovsk, Mykolaiv, and Odesa regions, following Russia’s annexation of Crimea. Ukraine’s interim government was incapable of defending Crimea and, with support from Maidan self-defense groups, launched a military operation to secure these regions of south-east Ukraine (the so-called ‘Anti-Terrorist Operation’). In effect, Ukraine’s government was forced to set aside democratic reform ambitions in order to defend the country’s sovereignty. As a result, the original EuroMaidan agenda has not been fully implemented. But the reforms of the ‘war agenda’ have not been implemented either. Despite the pressing security situation, the Ukrainian government has neither declared a state of war, nor has it expedited reform of the armed forces. During local elections emerging oligarchic groups gained control of territories and may now oppose democratic and anti-corruption reforms. (c) Nazar Furyk/Demotix Instead, the ATO policy is used as a hybrid remedy. On the one hand, the ATO gives the government a chance to deploy armed forces without a state of war being declared, and, on the other, elites can continue to rule uninhibited. Viktor Yanukovych made a similar decision in December 2013 by declaring an ATO against EuroMaidan, permitting the head of state to fight and continue business as usual. In the short run, this policy had its merits. But in the longer term, it proved harmful for regime survival. 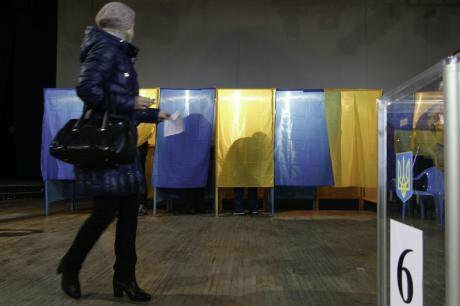 Undecidedness is probably the worst form of decision making, but also the most characteristic of Ukrainian elites. The clash of these agendas has made it impossible to promote necessary changes in Ukrainian society. Today, Ukraine is as far away from the rule of law and liberal democracy as it was in March 2014. At the same time, the security ministries are inefficient and lack resources. The implementation of Maidan’s ‘European’ agenda is very slow. The Association Agreement (AA) with the European Union, one of the cornerstones of the revolution, has not been wholly enacted, though it was signed by the EU and Ukraine on 21 March, 2014. The Deep and Comprehensive Free Trade Area (DCFTA) was signed in June 2014, with the agreement to come into force on 31 December, 2015 at Moscow’s insistence. At the May 2015 Eastern Partnership summit in Riga, Ukraine was unable to secure either a visa liberalisation agreement with the EU or even a clear path forward for formalising its closer relationship with the EU. Even though the ratification of AA was finished in November 2015 by the EU member-states, the Netherlands is yet to hold an upcoming referendum on association with Ukraine in April 2016. The way the laws needed for EU visa regime liberalisation were approved in the fall of 2015 in Rada has also shown that the new Ukrainian political class are unprepared for real integration. The EU's values, norms and practices are shared by a depressingly small amount of MPs and citizens. There are now two leading groups that have spread throughout Ukraine's executive, legislature and judiciary: one around President Petro Poroshenko, the other around Prime Minister Arseniy Yatseniuk. That said, in February 2014, parliament managed to reinstate Ukraine’s 2004 constitution, which diminished presidential powers, increased the role of the Cabinet of Ministers and parliament, and enforced the possibility of separating the branches of power. Political realities, however, show that the financial-political groups that took over centres of power after EuroMaidan continue to disrespect the separation of powers. The same groups have installed their representatives in Ukraine’s executive, legislature and judiciary, and promote their group interests—political and private simultaneously. There are now two leading groups that have spread throughout the executive, legislature and judiciary: one around President Petro Poroshenko, the other around Prime Minister Arseniy Yatseniuk. They have a strong presence in the Cabinet of Ministers and Verkhovna Rada, Ukraine’s parliament. The pro-Poroshenko group controls 11 ministries and 11 parliamentary committees, while the pro-Yatseniuk group controls 4 ministries and 8 committees. At the same time, these groups are in control of the majority of newly elected members of the High Judiciary Council, a key body of the judiciary’s self-governance. With local elections recently passed, these groups will soon have control over many mayors and local councils. 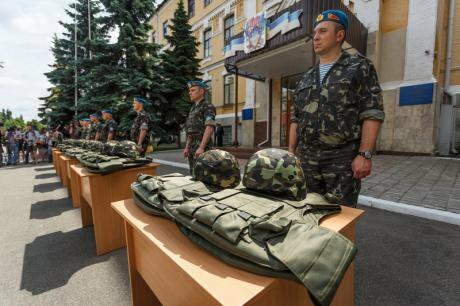 The Ukranian army's recruitment practices are provoking growing remorse among many Ukrainians. (c) Oleg Pereverzev/DemotixThese groups are separate, but their political and administrative omnipresence is balanced and does less damage to Ukrainian democracy than might be expected. The practice of ‘power verticals’, a post-Soviet alternative to western democracy, thus remains customary in Ukraine’s political system. Power verticals are based on merging branches of power and undisputed control of local communities by central government. This key mechanism of post-Soviet political systems, which is counter to democratic rule, is alive and well in Ukraine and, at a later date may re-create Yanukovych-style rule. The war reforms agenda also remains unimplemented. Despite concentrating large military forces in the ATO zone, the security of Ukraine remains fragile. Different security agencies continue to work without sufficient coordination, often with public conflicts among them. Meanwhile, the draft is supposed to provide Ukraine’s ineffective army with personnel, but the recruitment practices provoke growing remorse among many Ukrainians. To carry out the fifth and the sixth call-up waves, regional military commissars had to conduct manhunts on the streets, supermarkets and university dormitories around Ukraine. Moreover, the army lacks the necessary financial and human resources to equip and train new recruits. This clash of agendas leads to an ironic contradiction in public life: when you ask senior officers in the security services why they’re so inefficient, their usual answer refers to the lack of ‘legal tools’ to carry out their military tasks without declaring a state of war; when you ask political leaders why democratic reforms are lagging behind, they refer to the de-facto state of war. This contradiction is not only an obstacle to progress in Ukraine, but also an environment conducive to corruption. Pervasive corruption is a problem that not only impedes government and stymies reform, but complicates Ukraine’s future relations with the west. Despite growing intolerance towards corruption, an International Republican Institute poll from May 2015 reveals that a majority of citizens still deal with bribery and nepotism in their everyday lives. Though the Poroshenko administration has created a number of anti-corruption agencies, Ukraine seems unprepared to tackle what may be the next wave of corruption: in 2016, the Cabinet of Ministers plans to embark on a new round of privatisation of government assets. The long list of enterprises slated for privatisation includes the country’s most important plants and ports—all of which contain ample potential for graft. Furthermore, Poroshenko seeks to liberalise the land market—another area that could fuel corruption. The proposition of mass privatisation and the prospect of land reform has inspired old and new oligarchic groups to increase their coercive pressure on key public institutions in the centre and the regions. The tenders for these privatisations have to be closely monitored. The competition between emerging oligarchic groups and the old ones are growing. The new groups, however, are much better at fulfilling their tasks and controlling centres of power that they have forced the well-known figures from the Forbes-Ukraine list to try and consolidate. In August, the older oligarchs had to call for a meeting to discuss combined responses to the growing competition from new groups. During local elections, they established control over certain territories and may now better oppose democratic and anti-corruption reforms. Ukraine’s current constitutional reform was driven by the EuroMaidan agenda. The recent tragic and disuniting clashes around constitutional changes have shown that competition between the Maidan and war agendas has reached an unprecedented level, and could lead to highly damaging processes far from the frontline in the Donbas. The delays in choosing either of the reform agendas not only creates an opportunity for oligarchic groups to restore their rule, but later, as has happened twice previously in Ukraine, result in an authoritarian figure taking presidential office. The fundamental contradictions between the Maidan and war agendas is undermining both democratic change and the ability to maintain peace. The choice must be made between the two, reforms implemented and a democratic Ukraine established.